America's most prolific shale oilfield is pumping so much crude that the pipelines can't handle it all. 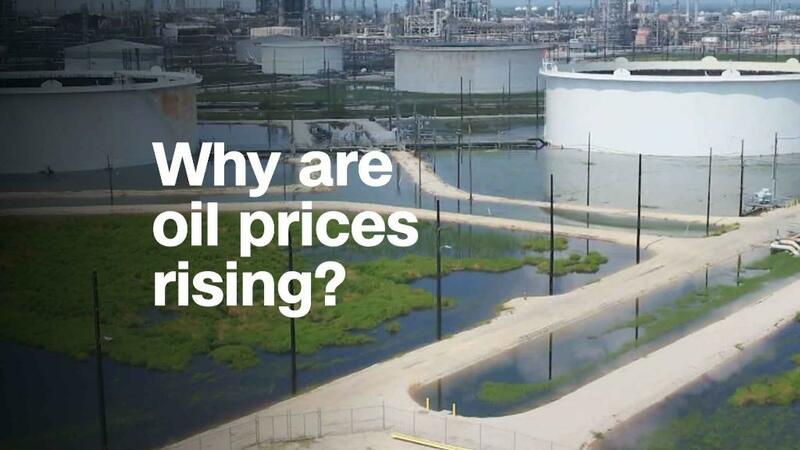 These congestion headaches have contributed to the spike in crude prices by trapping some supplies inside the Permian Basin, the oil-rich West Texas shale field where production has skyrocketed. Sudden pipeline bottlenecks are the latest reminder that the shale oil revolution has reshaped energy, both at home and abroad. "US producers have become a victim of their own success," said Michael Tran, global energy strategist at RBC Capital Markets. "The Permian Basin has been so prolific that it's overwhelmed pipelines," he said. "There isn't enough capacity to move barrels to market." Lifted by signs that the United States will re-impose sanctions on Iran, the price of benchmark US oil settled above $70 a barrel on Monday for the first time since late 2014. But, because of the pipeline problems, crude oil from the Permian trades at a big discount. For instance, analysts said that a barrel of crude in West Texas's Midland priced about $13 to $16 below similar oil contracts. With the pipelines near full capacity, shale producers in the Permian can turn to rail and truck to get their crude to the market. But those options are much more expensive, and more difficult to carry out at large scale. These pipeline headaches have had a hand in the recent leap in oil prices because they have dashed the belief that higher oil prices would be limited by a steady flow of oil out of the Permian Basin. Tran said that "bottlenecks" in the Permian Basin have played a "fairly large role" in lifting crude to $70 a barrel. Other major factors include robust demand for oil, concerns that Iran's supply will be limited by new sanctions from the United States and an agreement by OPEC and Russia to cut production. In some parts of the country, pipeline projects have been blocked or slowed by opposition from environmental groups and Native American tribes. President Trump advanced both the Dakota Access and Keystone XL pipeline projects over protests. Of course, the pipeline problems in the Permian Basin haven't been caused by political pressure in Texas, which is among the friendliest states to the oil industry. Instead, they reflect the enormous increase in production from the Permian Basin, where unique geology makes it easier for companies to drill more cheaply. Located in West Texas and eastern New Mexico, the Permian Basin can survive at low prices better than other fields can. It's so cheap to drill in the Permian that it was the only major shale basin to continue growing even when oil prices crashed as low as $26 a barrel in early 2016. "We've seen a lot of companies and investment flooding toward the Permian Basin," said Jenna Delaney, senior oil analyst at S&P Global Platts. Several Permian Basin producers have acknowledged how crowded the pipelines there have become. "A lot of folks are going to be waiting for new pipeline," D. Lance Terveen, senior vice president of marketing at EOG Resource, (EOG) recently told analysts. Terveen explained that this is what happens when "there's a lot of hype" in a "very active area" like the Permian Basin. The "hype" has also driven up other expenses for Permian producers, including the cost of recruiting talent and paying for supplies like sand. Even regulators are flagging the Permian pipeline problems. "We need investment in energy transportation infrastructure like pipelines and ports to realize Texas' full potential," Ryan Sitton, a commissioner on the Texas Railroad Commission, tweeted on Monday. Help is on the way. Companies are racing to build pipelines to carry the crude out of the Permian. But most of those won't start pumping crude until late next year. For instance, Plains All American Pipeline (PAA) is building the $1.1 billion Cactus II pipeline system to carry crude from the Permian Basin to Corpus Christi, Texas. The project isn't expected to open until the third quarter of 2019. The Gray Oak Pipeline, being built by Phillips 66 (PSX) and Enbridge (EBBNF), aims to carry more than 3 million barrels per day from West Texas to the Corpus and Houston region. Service is expected to begin during the second half of 2019. "It could be pretty tight between now and then," Pioneer Natural Resources (PXD) CEO Timothy Dave told analysts during a conference call last week.